Take a Ride on the F.A.T. 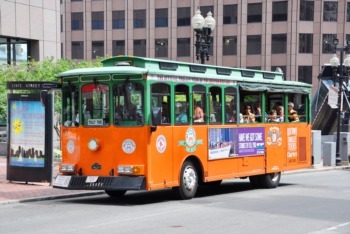 Friday Trolley Hop May 29 | Joe Hayden Real Estate Team - Your Real Estate Experts! See some of Louisville’s most interesting neighborhoods in one of the most interesting ways on May 29 when you enjoy the F.A.T. Friday Trolley Hop. This well-known Louisville event lets you see the city in a really fun, unique way. Explore several of the city’s communities while you ride along, and see more of what Louisville has to offer. 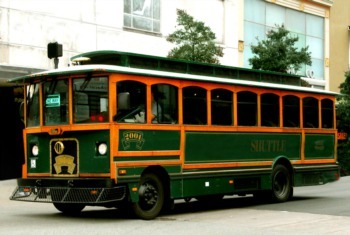 The trolley is one of Louisville’s most distinctive moving landmarks, a reminder of the days when Louisville was full of carriages instead of cars. The Trolley Hop is a free event that takes you to shops, restaurants and other interesting places in some of Louisville's signature neighborhoods. The trolley will take you along Frankfort Avenue and all its one-of-a-kind local businesses. You’ll find lots of galleries and artsy places on Frankfort Avenue. This is the Crescent Hill neighborhood, where many of the homes have gardens that make the community beautiful. You’ll also ride along Story Avenue in the downtown area, and up Mellwood Avenue and its art community. Many businesses along the route offer live entertainment and even complimentary refreshments to people participating in the Trolley Hop event. 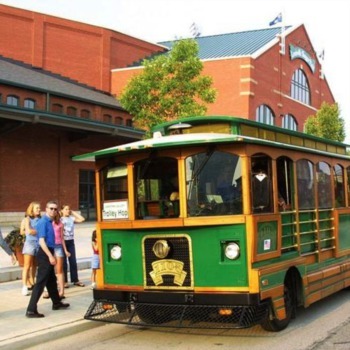 The ride lasts from 6 pm to 10:30 pm, giving you plenty of time to explore these fun Louisville communities for yourself at the various stops along the path. Best of all, the trolley hop event is free to anyone in Louisville who wants to enjoy it. You'll be riding along Mellwood, Story and Frankfort, three Avenues that have a lot to offer to shoppers, art lovers and foodies. But go a few blocks farther and you’ll get to the Brownsboro Road area, where you'll find lots of Louisville's prettiest neighborhoods. Brownsboro Road subdivisions, such as Indian Hills and Rolling Fields, offer winding streets and lots of grassy areas. These neighborhoods are ideal for children and families of all sizes. Want to see amazing scenery? The Louisville Country Club is nearby, and the river isn’t too far away. Many of the quiet streets in these neighborhoods end in cul-de-sacs to prevent through traffic and encourage a close-knit, community environment where children can play and neighbors can walk. Take a closer look at the amazing Louisville neighborhoods you’ll find when you enjoy the Trolley Hop, and you may discover your new favorite place.